This excavator is used to highlight the various attachments at the OilQuick Open Day Demonstration. 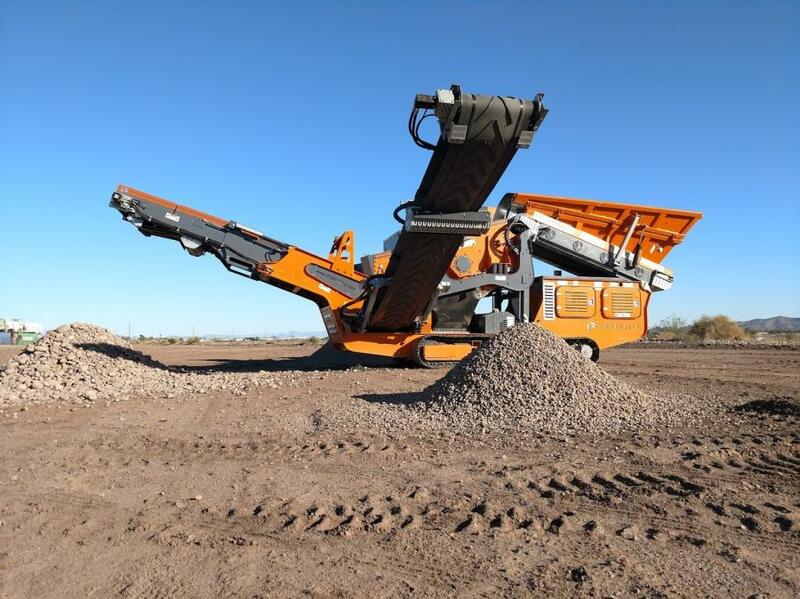 AU Equipment LLC, a regional dealer of Sandvik Mining crushing and screening equipment, Portafill crushers and screens, MB Crusher crushers and OilQuick couplers, held an open house demonstration day at Rio Salado Landfill Dec. 7 and 8 in Phoenix, Ariz. 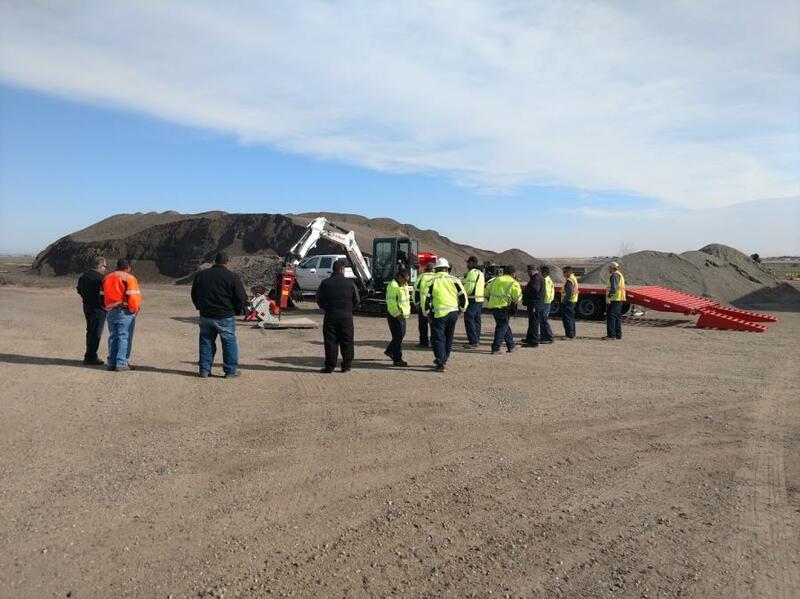 The equipment line-up included the OilQuick fully-automated quick coupler system; the Portafill 5000 tracked screening plant; and the MB-S10 screening bucket. The OilQuick quick coupler system enables the operator to change over quickly between various mechanical and hydraulic attachments from inside the cab. According to the company, the quick couplers and tool adapters are of the highest quality and ensure a precision fit and are fitted with leak-free oil quick couplings, which are eco-friendly. 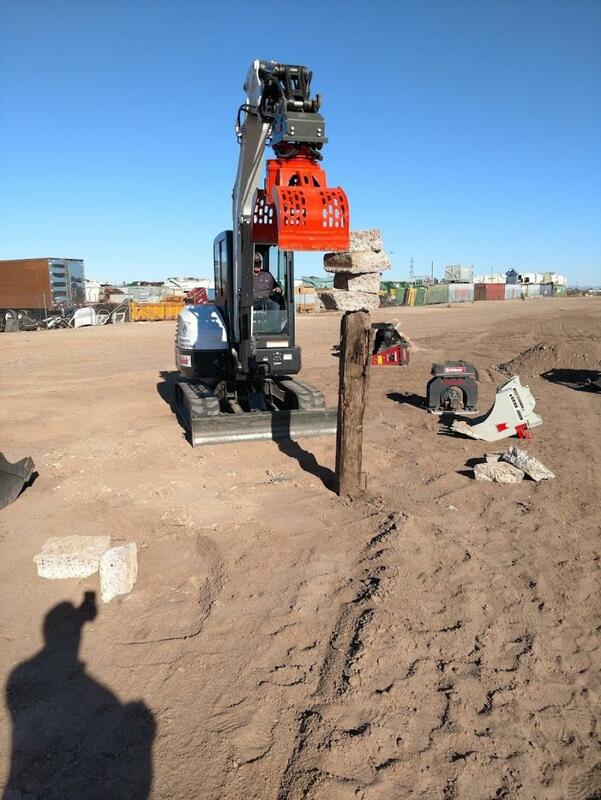 Fast tool change and efficient use of the excavator help to increase productivity, all while exceeding safety standards set by any independent and government agencies, according to the company. 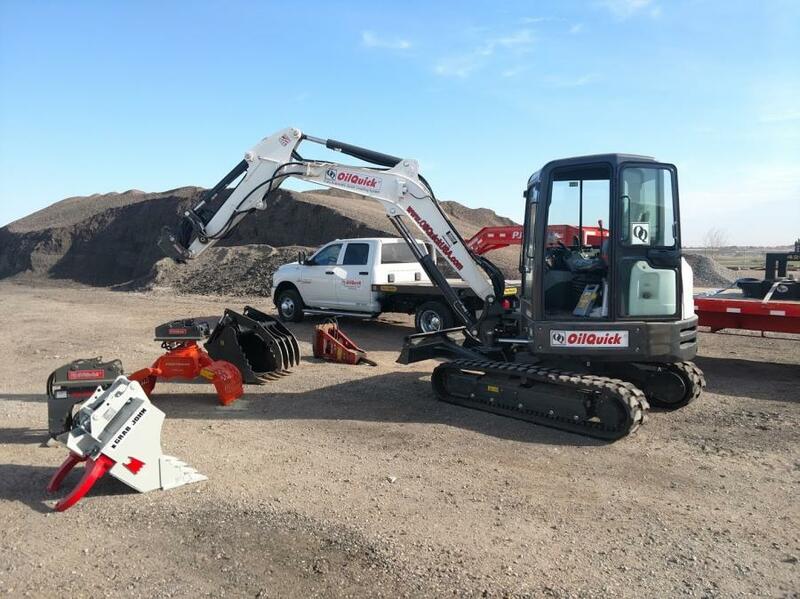 Also available for customers to test were the Fortress grapple; the OilQuick grab john; the Connect hydraulic hammer; and the Connect vibratory compactor. All were set up with the OilQuick system to demonstrate effortless attachment changing. 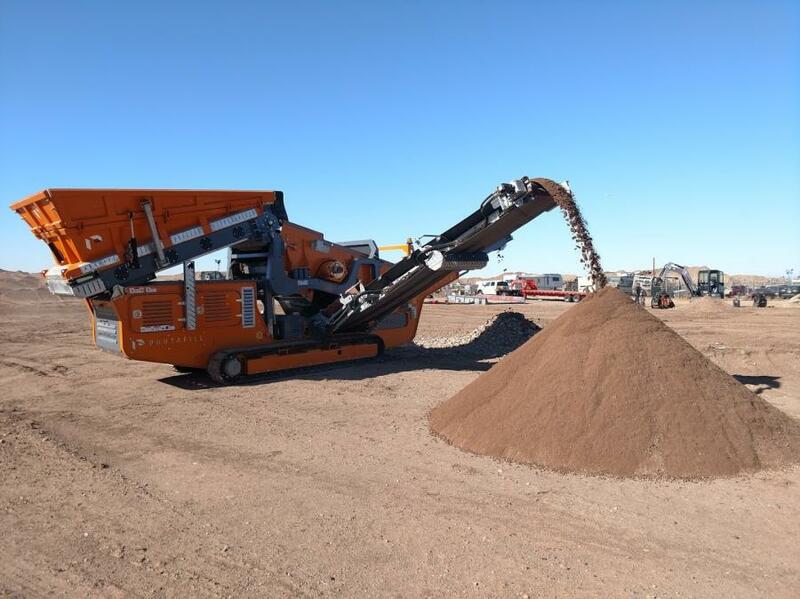 AU Equipment had both the MB-S23 screening bucket and the MB-S14 screening bucket on display, as well as the MB-L140 skid steer jaw crusher. The MB-S10 was attached to the OilQuick excavator and used to separate soil. The Portafill 5000 tracked screen was on site to process river gravel, making a concrete sand, a trap out rock and oversize river rock destined for further processing. For more information, visit auequipment.com/, rocktechnology.sandvik/en/products/mobile-crushers-and-screens/, portafillusa.com/, mbcrusher.com/us/us/.